In just two short days, San Jose-based death/doom unit MORTUOUS — featuring within its ranks past and present members of Exhumed, Repulsion, Necrot, and Atrament, among others — will unleash the decaying fruits of its Through Wilderness debut upon the masses. Witness the decaying sounds of Through Wilderness, courtesy of Revolver, at THIS LOCATION. MORTUOUS’ Through Wilderness was captured at Earhammer Studios with Greg Wilkinson (Brainoil, Vastum, Necrot, etc.) and pays its respects to the likes of My Dying Bride, Paradise Lost, Rottrevore, and Disembowelment. 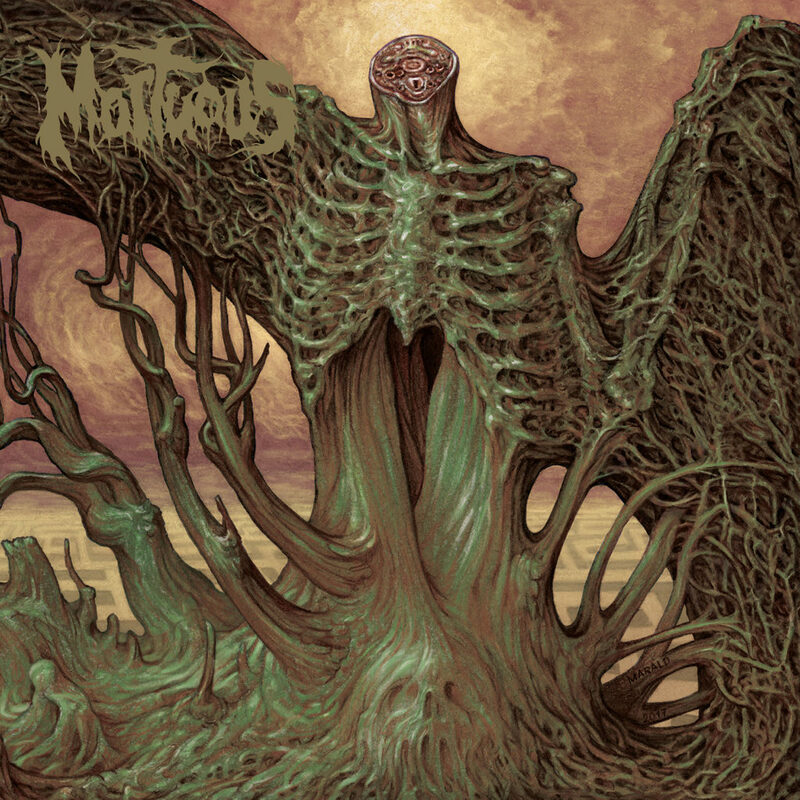 The album includes guest appearances by Chris Reifert and Danny Coralles of Autopsy, Derrel Houdashelt, formerly of Exhumed, and Teresa Wallace of Dreaming Dead, and comes swathed in the cover art of Marald Van Haasteren (Bolt Thrower, Baroness, Necrot). Through Wilderness will see release in North America on June 22nd on CD, limited LP, cassette, and digitally via Tankcrimes and newly-launched Carbonized Records spearheaded by Gailey. Dawnbreed Records will handle the CD and LP release in Europe while Extremely Rotten will handle the European cassette edition. For digital preorders visit THIS LOCATION. Find physical preorders HERE and HERE where the CD edition can be nabbed for a cool $6.66. 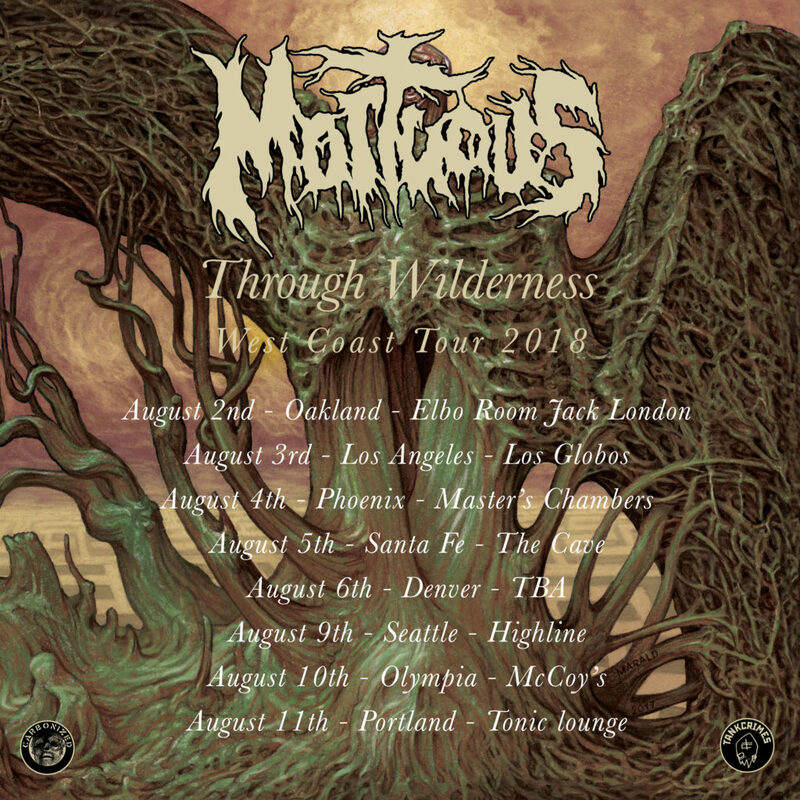 MORTUOUS will taking on a short West Coast tour this August. The trek will commence on August 2nd and run through August 11th with additional dates to be announced in due time. See all confirmed dates below. MORTUOUS was forged in San Jose, California in 2009 from the ashes of Colin Tarvin’s previous project Funerealm. 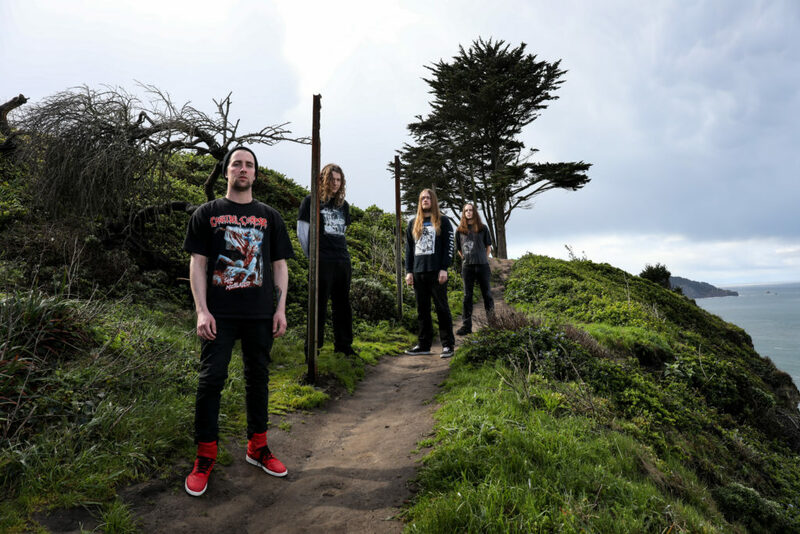 Tarvin began writing music in the vein of Incantation, Autopsy, and Viogression, with lyrics centered heavily on philosophical views on death and anti-technological themes. Later that year he released the Mors Immortalis demo on Skeleton Plague Records which received praise and recognition throughout the underground death metal community. By 2010, MORTUOUS had a full lineup which included former Exhumed members Col Jones and Mike Beams as well as Al Tarvin-Kibler, and Nick Scarboro. In 2013, the band parted ways with Tarvin-Kibler, and Scarboro and recruited bassist Clint Roach. Drummer Chad Gailey of Necrot joined the fold that following year completing the band’s current incarnation.